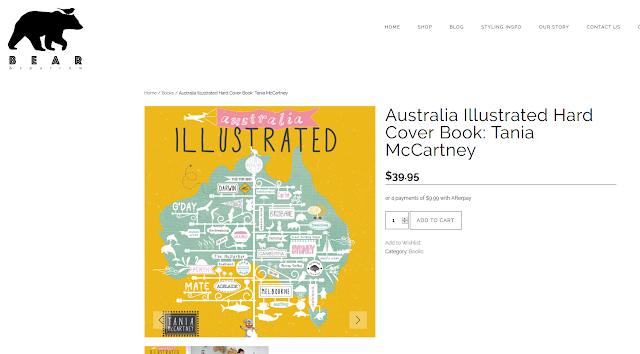 If you simply can't wait another moment to snaffle a copy of Australia Illustrated, my amazing friend Lisa-Marie Kerr of Bear and Sparrow has been granted permission to sell copies three weeks in advance of its release in Australia! The $39.99 price includes $10 in shipping. Hurry--there are only 50 copies up for grabs. Click the poster above to go to the Bear and Sparrow website, and be sure to check out Lisa's incredible kids' decor while you're there. Warning: it's the prettiest rabbit-hole you ever did fall into!